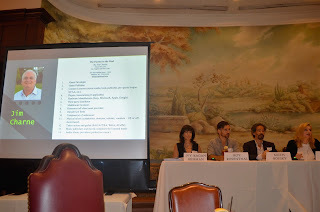 Professionally speaking, in 2016, I found articles about in-app purchases, the value of interactive game deals, pricing of bundles and discounting to be most relevant news to my practice of auditing game publishers and distributors, while right of publicity cases like this and this were most relevant to my forensic accounting work. In May, a Lexology post on Canada's Quebec Superior Court's case, Seggie v. Roofdog Games Inc., titled "Who is the Author of Videogame Software for Copyright Purposes? Gamers wish "to collect collect, create, show off [virtual items], and ultimately earn money from doing so"
Nintendo released Pokémon Go in July and pieces about its profit model and rollercoaster valuation were popular: while App Annie marveled that it was making $10 million every day without cannibalizing other games, an expert blogger on Gamasutra investigated the answer to the question: "Can Pokémon Go Monetise?" Nintendo's stock rose $9 billion on the success of Pokémon Go, then corrected. Mashable reported, "Nintendo admits it's not making much money off 'Pokémon Go', loses $6.7 billion in market value." Also in July, Blizzard sued an Overwatch cheat-maker per Gamespot. 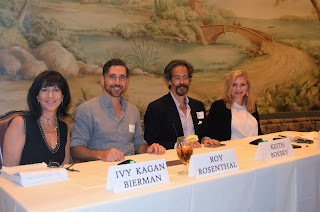 In August, I spoke at the Beverly Hills Bar Association about legal issues with superstar experts in the game business. Nielsen in October released a report, covered by VentureBeat: "Mobile games live and die on how fast developers can crank out new content"
By November, followers were most interested reading about the video game voice actors strike (this article per Gamasutra), which continues as of the date hereof. So far this month (December 2016), Twitter followers are most interested in more articles from Gamasutra: a post recycled from June - What does $1 million buy in game development? Also, in case you missed it, YouTuber Pewdiepie trolled us all and deleted his "alternate" channel. There were many shares of information that did not engage readers, so I did not mention them. What was the most interesting games earnings news story not mentioned here, especially those that pertain to royalties and/or damages?